Since the launch of his Haute Couture range in 2009, Alexandre Vauthier’s luxurious and futuristic fabrics, Parisian savoir-faire and complete vision of the female body have allowed his creations to seduce clients and press alike. Numerous articles and celebrities have endorsed the work of this talented designer, who trained alongside Thierry Mugler and Jean Paul Gaultier. 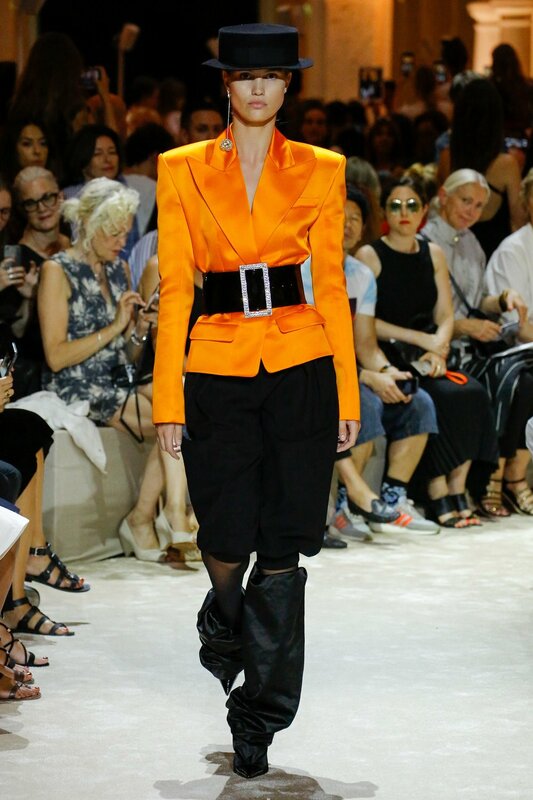 The essence of the Alexandre Vauthier style has been available for the past three seasons in ready-to-wear form, with looks inspired by the catwalk as well as must-have basic fitted knits, Milano jersey dresses that always worked with the same focus on cut and fabric. Vauthier’s garments are made in France, a further sign of quality and support for a unique craftsmanship and artisan know-how. WHAT IS YOUR VISION OF HAUTE COUTURE TODAY? Couture is expertise, it’s a training, craftsmanship and techniques. It’s a creative lab and this is why I’m interested in. Couture evolves, evening dresses will always exist but client’s needs are changing. They are now looking for exclusive pieces. It’s important to dissociate Couture and the spirit of it related to overload and complex pieces. I think that we need to find a good balance between wealth and exclusivity and be more discreet than it used to be. WHAT INSPIRED YOU TO WORK IN FASHION? Creation has no boundaries and everything inspires me: a silhouette, a shape, a colour. Month after month, elements stand and bring some pieces to light. And this is when a new collection concept comes up. WHAT CAN YOU TELL US ABOUT THE STYLE ITSELF? I never thought about this question. I don’t want to lock myself always in boxes, I just try to represent the world around me by highlighting femininity in a luxurious and exclusive environment. HOW WOULD YOU DESCRIBE YOUR CURRENT COLLABORATION WITH SWAROVSKI? All my collections were made with Swarovski crystals. It’s equally a part of my DNA as are the materials, cut and lines that I chose for the looks: I use crocodile, fur, wool, python, gold metal. The brightness of Swarovski crystals really embellish my looks. HOW DO YOU CRYSTALLISE EACH COLLECTION IN SUCH A LUXURY WAY? Thanks to techniques, Métiers d’Art, Lesage embroideries and Swarovski crystals. 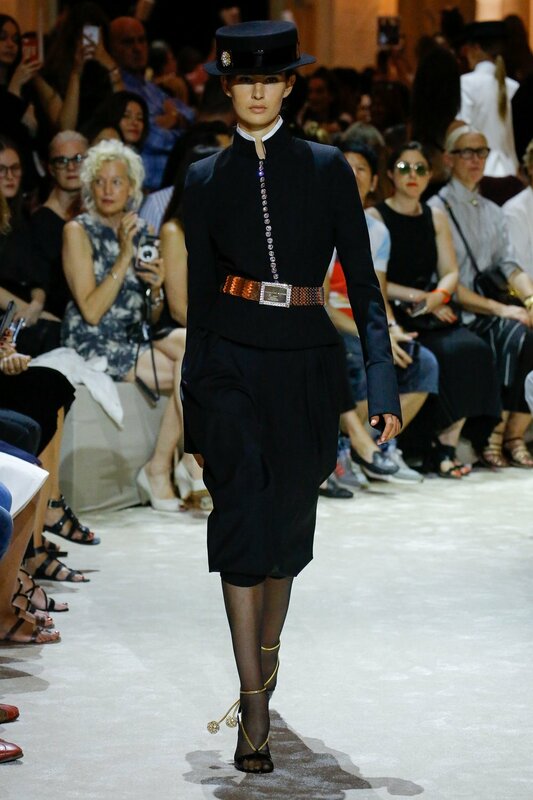 HOW DO YOU INJECT YOUR OWN DNA INTO EACH COLLECTION ADDING MORE GLAMOUR INTO EACH PIECE FOR ALEXANDRE VAUTHIER? I try to find a balance between sensuality, elegance and geometry. 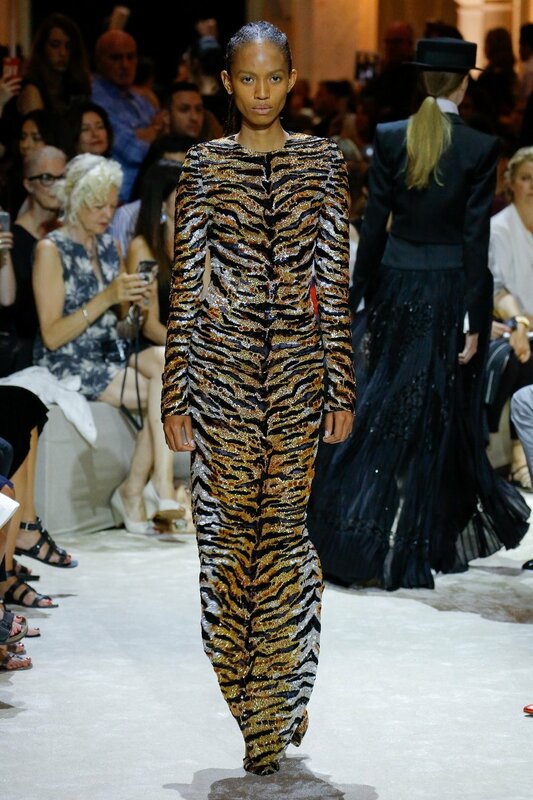 HOW WOULD YOU DESCRIBE THE STYLE OF THE ALEXANDRE VAUTHIER COSTUMER? It’s hard to define the Alexandre Vauthier woman, but my clients would better answer it. The reason why my collections are fresh and bright is because I always try to make it fluid with no boundaries or fashion diktats. YOUR FAVOURITE COLOURS AND STONE? Black, Gold and Crystals! also attitudes. This work has no limits and is very instinctive. I’m very honest and I say exactly what I think. Mixing this freedom and all other elements make a kind of alchemy that gives a global reach to my style. However, I think that you would have a better definition by directly asking my clients.